Cabinet refacing is a great way to create a new look without spending a small fortune and disrupting your home for many weeks. While this job is usually done in kitchens, the basic techniques also work on vanities and built-in cabinets in other parts of the house, like the laundry room and bathroom. One of the big reasons this approach works so well is that many cabinet components are more standardized than most people think. It’s easy to notice a very narrow cabinet door or drawer in any kitchen layout while missing the fact that the other cabinets in the room have only a few different-sized doors and drawers. Because of this, these parts can be easily replaced with others that are the same size, but feature different surface designs and finishes. When these are installed, the room looks nicely updated. If you can afford to update your appliances as well, you’ll end up with a new kitchen by any standard. 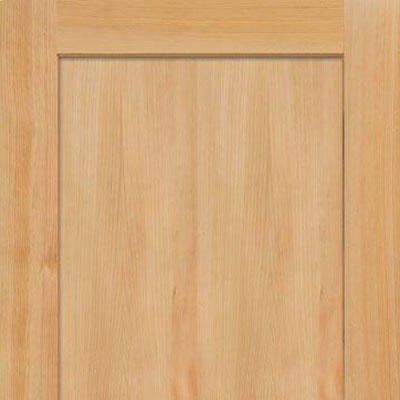 Replacement doors, like the red oak version above and the cherry type below, can make an old kitchen look young again. When combined with new drawer fronts, cabinet hardware and refaced cabinet boxes, the job can be done in just a couple of days. The real secret to this job, both in terms of how much it costs and how much time it takes, is that you keep your existing cabinet boxes in place. On a basic job, the layout stays the same, the traffic patterns are the same, and the room may be out of service for only a few days. However, you may discover an option beyond the basic approach that works better for you. 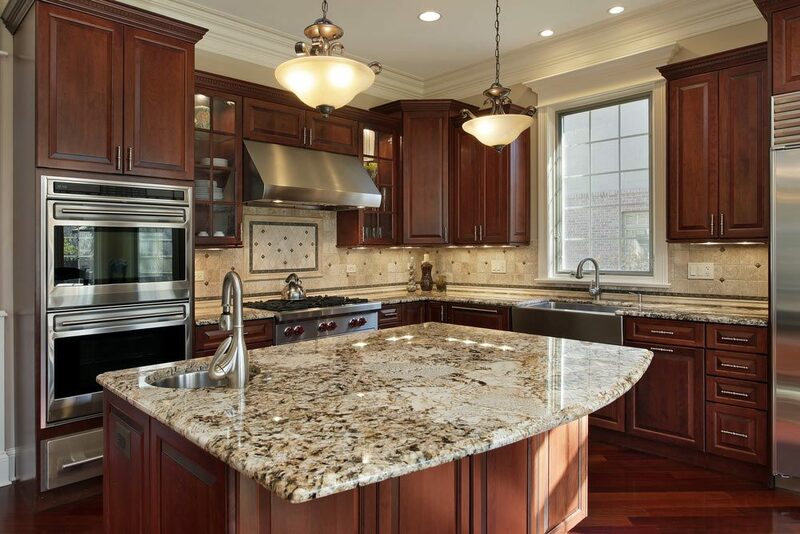 Most refacing contractors can alter the cabinet layout, fabricate new counters and install a high-end sink and faucet combo as part of the job. They’ll be able to price all these “extras” for you, and then you can decide what the budget will bear. A kitchen design specialist will make one or two visits to your house to explain the job, take measurements and discuss what extras you might want. It’s important to establish as early as possible what material you want to use for the refacing, because ordering is usually involved, and that can take time. 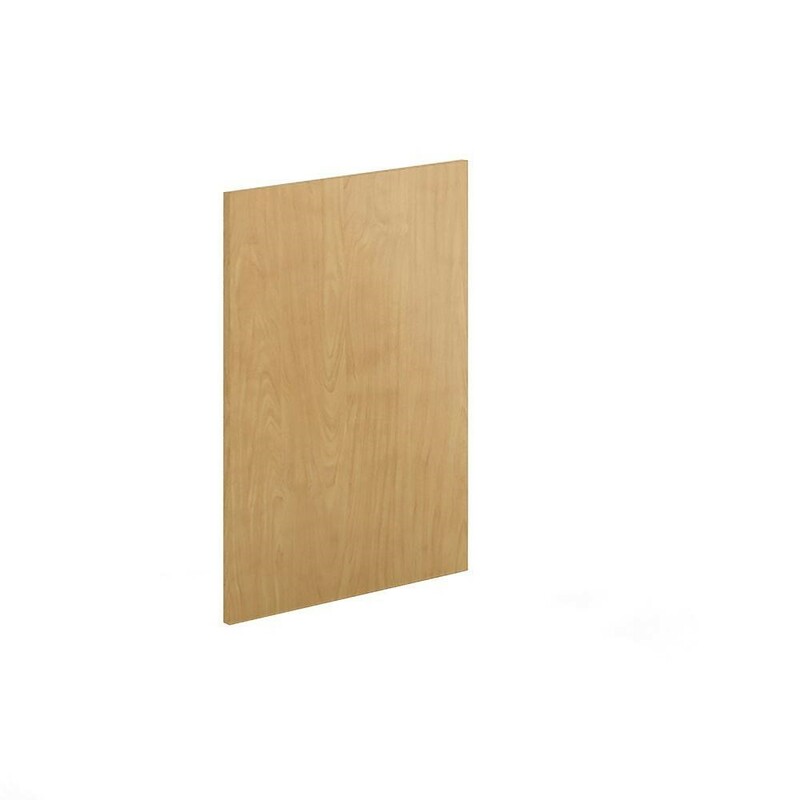 The common options are laminate (think countertops and flooring), wood veneer (thin pieces or real wood like oak, maple, cherry) and rigid thermofoils (RTFs, that are more malleable than plastic laminate but come in the same type of colors and styles). Be prepared for these visits with a list of improvements you’d like to add as part of the job. Try to make as many decisions as possible during the in-home consultation. Leaving loose ends to be resolved later can easily lead to misunderstandings. Once the work begins, the contractor will remove all the doors and drawer fronts and clean the interior of the cabinets. Painting the empty interiors is a common upgrade, especially if you want glass doors on the wall cabinets and want to change the background color that will now be visible. The next step is to sand the surface and edges of the cabinet face frames to create a surface that will hold glue better. Because this is done in your house, all doorways into your kitchen should be covered with polyethylene plastic sheets, and the sander should have a dust collection bag or be attached to a vacuum cleaner. Veneer sheets, like the maple example above and the walnut sheet below, are used to reface cabinet frames and exposed ends. They are glued to the existing cabinet parts and finished on site, usually with polyurethane varnish. When the sanding is done, the refacing begins. The parts are cut to size and glued to the face frames, starting with the frame edges. This is followed by refacing the front of the frames and any exposed cabinet sides. Usually, the undersides of wall cabinets are cleaned (and sometimes painted) but not refaced. These surfaces are not very visible, especially if under-cabinet fluorescent light fixtures are used. A finish is sprayed or brushed on and will need to dry before other work is done. Next come the new doors, drawer fronts, hinges, door pulls and drawer handles. The hardware can be expensive, so it’s important to decide exactly what you want before the job begins. Sometimes the doors and drawer fronts are prefinished. It’s the job of the refacing contractor to match the finish on the cabinets with what is on these new parts. Because this can be tricky, better results are often achieved if the doors and drawer fronts come unfinished and the whole job is finished with the same materials on site. Once the cabinets are done, the extras you signed up for will come next. Like the doors and drawer fronts, new counters are usually fabricated off site and only installed after all the cabinet work is complete. New appliances will have to wait until everything else is finished. As you can see, costs for this work depend on how much you want done. 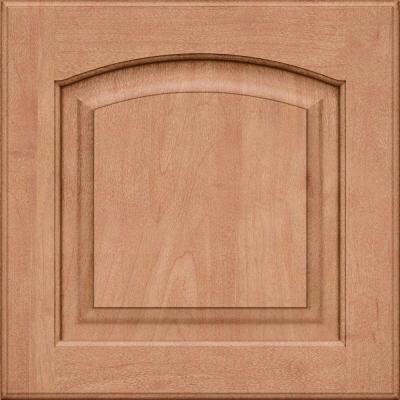 A basic refacing job on a small kitchen with laminate or RTF that takes only a couple of days to do is usually less than $4,000. Add wood veneer facings and new counters, and the price can double to $8,000. A new suite of kitchen appliances (fridge, range, dishwasher and microwave) can set back anybody between $2,000 and $4,000. That can push the total cost of the job into the $10,000 to $12,000 range. However, it will cost you much less than a full-blown kitchen remodel! Steve Willson began his career as a carpentry contractor in Rochester, New York, where he owned and operated his own business. After that he served as Popular Mechanics’ Home Improvement Editor for 22 years and has authored several DIY home improvement books. Willson’s hands-on experience informs his writing, whether writing about cabinet refacing or tool selection for Home Depot.